Support your back and minimize pain when sitting for prolonged periods with a lumbar cushion from Drive Medical. The cushion's design promotes proper posture at home, in the office or even on the road in the car. The cushion comes compressed in a unique compact package and expands to full size when opened. 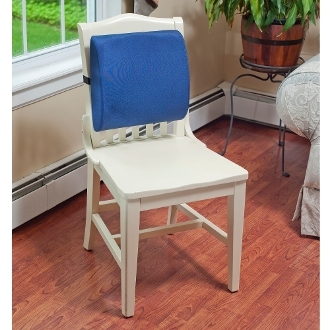 The cushion's cover is also removable and machine-washable for easy care while a handy elastic strap keeps the cushion securely in place.